The survey by the Real Estate Institute of New South Wales has found 32 per cent of agents have been threatened or abused within the last month. The institute's president, Steve Martin, says the police have been called into real estate offices in some instances. "We've had threats to property managers that in the event of their application not being approved, physical violence would take place," he said. "We've had the other extreme where people have threatened suicide if their application isn't approved, which is very, very concerning. "It's pent up frustration from tenants where they have been continually applying for premises and unfortunately, their applications just haven't been approved. "Now, that's not necessarily their fault. The properties simply aren't available." 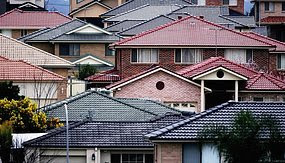 Sydney's housing vacancy rate for August remained unchanged from July at 1.2 per cent. Premier Nathan Rees will meet the Real Estate Institute for crisis talks today.